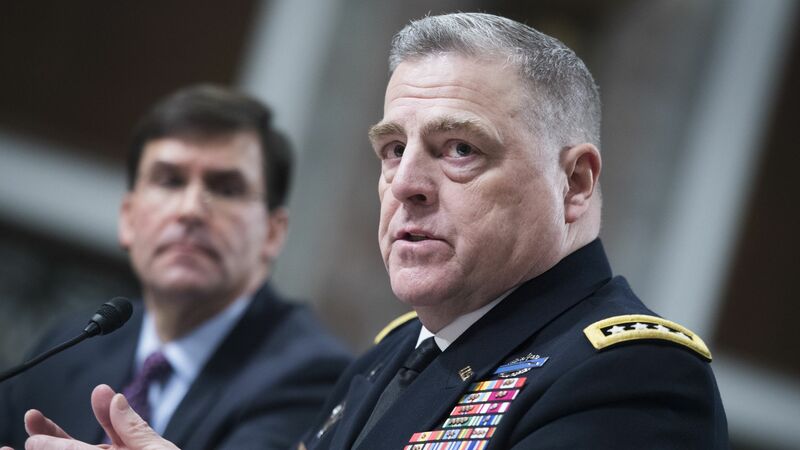 The Pentagon announced Tuesday that President Trump has nominated Army Gen. Mark Milley to be chairman of the Joint Chiefs of Staff and Air Force Gen. John E. Hyten to be vice chairman. The big picture: Milley, a 4-star general who currently serves as chief of staff of the U.S. Army, will become the highest-ranking official in the U.S. Armed Services and the principal military adviser to the president. It was first noted Trump wanted to replace current chairman of the Joint Chiefs of Staff Joseph Dunford with Milley back in December 2018.